Fancy something different to the gym or zumba? 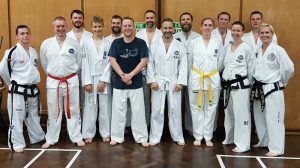 Have you tried a Martial arts classes for adults? Taekwon-Do classes in Tunbridge Wells are a great way for adults to get fit, lose weight & learn a new skill. In a fun, social environment. 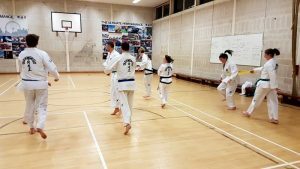 Rather than just go to the gym and fumble along, copying what others are doing or mindlessly plodding along on the treadmill, Martial arts classes for adults are fun, fast paced workout. You will learn correct technique for exercises like squats & push ups (as well as develop the strength to do them! ).The instructor is also a personal trainer and S&C coach. Exercises are scalable so beginners and black belts will be pushed equally. Students learn to punch and kick correctly, with a big emphasis on correct technique. As the students learn the movements they develop the skills necessary to defend themselves should they need to. They can even enter competitive tournaments if they are interested. 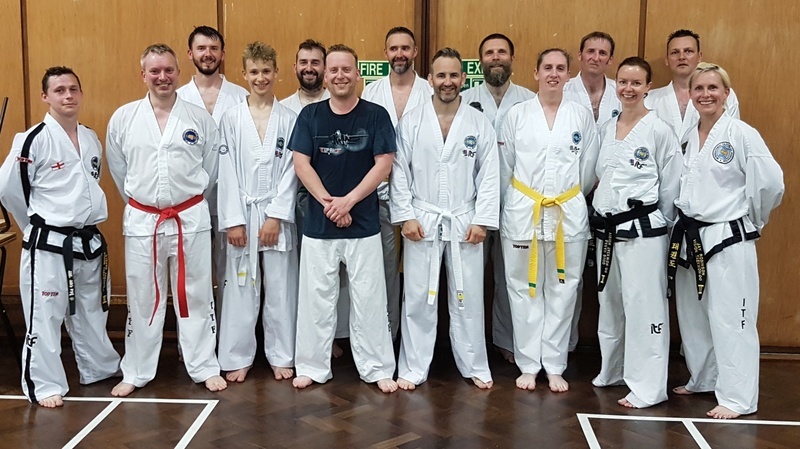 The Tunbridge Wells Taekwon-Do instructor, Sabum Thompson has been training in TKD for 25 years and is currently a coach for the England Taekwon-Do team. He has also coached the Kuala Lumpur team at Malaysian nationals and was formerly a competitor with the England team, winning medals at World and European Championships. The classes are also a great way to meet new people and have a fun workout. The club members often have club dinners and movie nights. A lot of the students are parents of the kids who train so it offers a good way to do activities with their children. 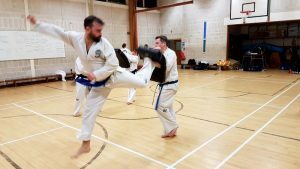 Martial arts classes for adults in Tunbridge Wells are on Mondays and Thursdays at 8pm, at St Gregory’s school. See the Tunbridge Wells TKD website for more details. ← New Year, no idea?